For many Western resorts this is the season when it’s best to stay on the groomed. There just hasn’t been enough natural snow to enter the woods with confidence. The trail skiing I’ve done at the four resorts closest to Salt Lake City — Alta and Snowbird in Little Cottonwood Canyon and Brighton and Solitude in Big Cottonwood Canyon — have more than enough snow coverage to keep most skiers well-entertained, especially those who decide to stay downtown or somewhere in Salt Lake Valley. Staying at a single resort when conditions confine you to the groomed and semi-groomed can get redundant. Being centrally located and visiting different resorts each day can be a more interesting option. Downtown has a lot going on. For those not wanting to deal with a car, there’s inexpensive public transportation to each of the areas. Salt Lake City markets itself as Ski City U.S.A. Other municipalities use “ski city” when promoting themselves as Winter destinations. Salt Lake City is the real deal. A Delta hub. At the base of the mountains. Thirty, forty minutes from downtown hotels to 36 lifts serving almost 7000 highly skiable acres. Not to mention the state’s license plate slogan, “Greatest Snow on Earth.” This season being the rare exception to that P.T. Barnum knockoff. 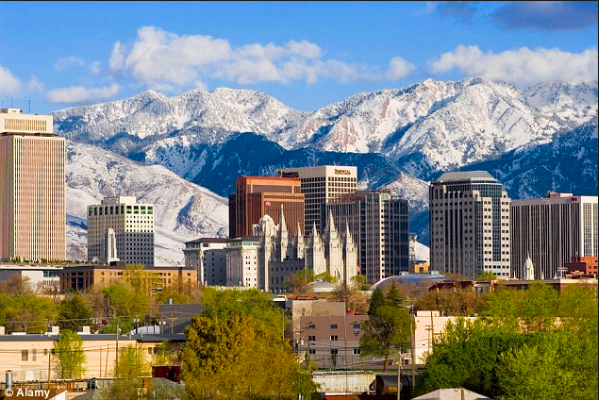 Since I lived in Salt Lake City for the past decade and frequented the four areas, I thought that readers considering a Salt Lake City-based ski trip would benefit from some local guidance, which I’ll dole out in this and another article next week. If you plan to stay in town or in the valley and ski Alta, Brighton, Snowbird and Solitude, consider purchasing a Super Pass or staying in a hotel participating in the Super Pass promotion. The Super Pass provides good savings on lift tickets and is flexible as far as number of days you choose to ski. The Ski City U.S.A. website shows numerous hotels that include a Super Pass in the price of lodging. Residence Inn Downtown, for example, charges $129.50 per person for a suite with kitchen and living room. The price includes two Super Passes. You’ll need to do the math, but If you’re 80, you’ll ski free at Alta and enjoy deep discounts at each of the other areas. 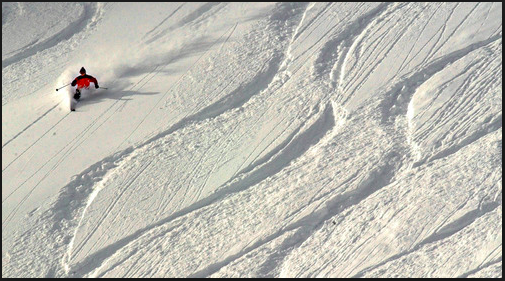 If you’re 70, you’ll pay $104 at Alta ($88-$99, if purchased in advance online) and $59 at Snowbird (mid-week). Brighton and Solitude discount their tickets starting at age 65. Brighton costs $52 – $57, and Solitude costs $61. Go online a day in advance and you may find better bargains. Every Super Pass comes with free public transportation to the resorts. Depending on where you’re located it may be by bus alone or bus in combination with light rail. These are good options if you’re on a budget or don’t want to be hassled with a rental car. And there’s always airbnb. A search for arrival on Saturday and departure on Wednesday for two people produced results starting under $50 a night. 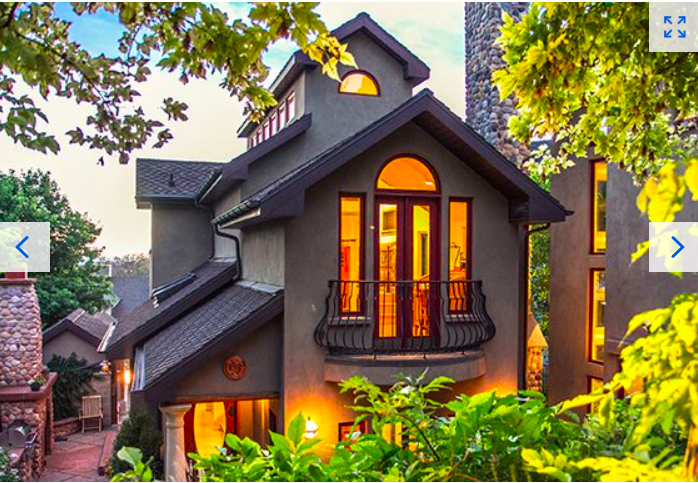 If you have a smallish group, one of the city’s most remarkable rental homes is Waterfall House, which sleeps 7 and averages about $330 a night. It’s filled with entertaining and beautiful features. Next article will give food and entertainment choices. If you are staying for a week or more, the Alta 2017-18 65-79 yrs Season pass (including free Trax and Bus travel) is currently (post 1-Feb-2018) $699 ( it was $649 back in July 2017 when I bought it) so you can judge what the break even point is for you. The season pass also includes 50% off day passes at each of the Mountain Collective destinations and you can buy same-day $30 (?) pass-upgrades to ski Snowbird. There are a number of relatively low cost Motels ($60 up) in Midvale along the UTA bus routes up to Alta /Snowbird, Brighton/Solitude ski areas. It takes about an hour to ride the 953 bus up from the 953 stop outside Crystal Inn, Midvale. I always stay there because they include a hot breakfast and a light evening meal in the room price, huge rooms with 1 king or 2 queen beds and sitting area, fridge and microwave, free WiFi, guest laundry, free airport shuttle, gym, hot tub, pool, etc (although they charge around $100-120/night depending when you book and for how long you are staying). Use https://www.skiutah.com/blog/authors/erika/ticket-to-ride-uta-upgrades-ski-bus/#cottonwoods to find a list of hotels on the bus route that suit you, book several months early for the best price. You can sometimes get a better rate by booking direct with the hotel but trivago.com is worth trying to get the best advertised price.